The waters of Port Phillip have claimed many vessels other than those to be found near Port Phillip Heads. According to Heritage Victoria there are about 130 of them, with many yet to be found. Those we know about and dive on are listed here. But maybe you'd prefer to hunt for the wrecks we don't know the location of. Australian National Shipwreck Database: Aneiura. Wooden sailing schooner, 1652 ton. Built: Benecia, California, USA, 1918. The Boadicia (aka Boadicea) is a Max Depth: 16.5 metres (54 feet) ferro cement ketch rigged yacht with main mast length Max Depth: 17.4 metres (57 feet) that has been abandoned and thought to be sunk in a depth of approximately Max Depth: Units: no unit type given. Approximate position 340 degrees 6 miles from Eastern Light. See also, Australian National Shipwreck Database: Boadicea. The Briton shipwreck is significant socially for its use as a landing stage for the popular Bellarine Tea Gardens. It is difficult to assess archaeological significance due to the structure being modified throughout its career. Australian National Shipwreck Database: Briton. The Carmen is significant as an ex-French sealing and whaling relief vessel. It is recreationally significant for the remains of its hull fittings in Jawbone Marine National Park, as one of at least six known vessels abandoned in this area. Historic shipwreck protected zone. Permit Required. The former flagship of the Victorian Colonial Navy, HMVS Cerberus is internationally significant as a surviving example of a turret ship, or breastwork monitor class of warship. It was the first armoured warship built for Australia, and upon Federation became the Commonwealth of Australia's first capital ship. When it was built, along with its sister ship Magdala they were the first British ships to have low freeboard, breastwork protection, a central superstructure with fore and aft turrets, and the first warships ever built to operate solely on steam propulsion. The Cerberus represents the transition from large high profile wooden sailing warships armed with hundreds of cannon to a low profile 'floating raft' using explosive shells, revolving turret guns, and an iron hull and breastwork. The Cerberus had an uneventful career for a naval vessel, with never a shot fired in anger in 53 years of service between 1871 and 1926. The HMAS Cerberus naval depot at Flinders is named after the HMVS Cerberus. After its use as a capital ship had expired, the Cerberus operated in Port Phillip as a port guard ship, a floating explosives store, and a submarine depot ship for the six J-Class submarines until being purposely sunk in 1926 for use as a breakwater for the Black Rock Yacht Club. The wreck has collapsed to the waterline, crushing all passageways in the lower hull. It is unsafe to dive, thus diving is prohibited in the protected zone. Heritage Victoria slide collection on flickr: HMVS Cerberus. ex HMVS Cerberus, Iron monitor. The City of Launceston (aka SS City of Launceston) is one of Victoria's most significant shipwrecks. The discovery and reporting of the wreck and subsequent lobbying of the State Government led to the proclamation of the State Historic Shipwrecks Act 1981. It is one of the most intact iron steamship wrecks of its age in Australian waters, is technically and scientifically significant for the remains of its engine and boiler, and evidence of the experimental salvage attempts using Patented Maquay hydrogen gas generating devices. The City of Launceston is archaeologically highly significant for the state of preservation of a complete intra-colonial steamship with evidence of its cabin fittings, passengers luggage and cargo. SS City of Launceston Shipwreck from Alan Beckhurst on Vimeo. Heritage Victoria slide collection on flickr: City of Launceston. ABC News item from 18th February 2006 on the sunken shipwreck of the City of Launceston in Port Phillip, Melbourne, Australia. Depth: 14 to 22 m.
Dive only on: SWF, SWE, Ebb, Flood. The City of Melbourne is historically significant as an American built fast sailing clipper that was owned by the Black Ball Line. 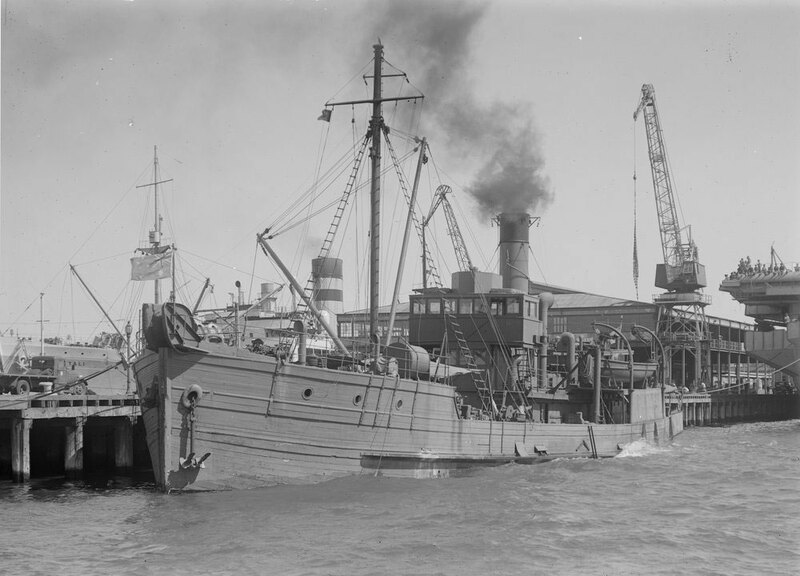 It was then used within Port Phillip Bay as a coal hulk and was also acquired for defence use as a block ship. Originally built in USA as the Black Warrior. The City of Melbourne sank at Point Henry, Corio Bay, Port Phillip on 30 January 1890. The shipwreck is a pile of ballast stones about 6 x 3 metres that rises about 20 cm off the bottom. It can be hard to find due to seagrass growth. It's in about 8 feet of water. Australian National Shipwreck Database: City of Melbourne. The Countess of Hopetoun is historically significant as the last vessel to be built for the Victorian naval force. It is also significant for the vessel's role in patrolling Port Phillip during World War I. Heritage Victoria slide collection on flickr: Countess of Hopetoun. 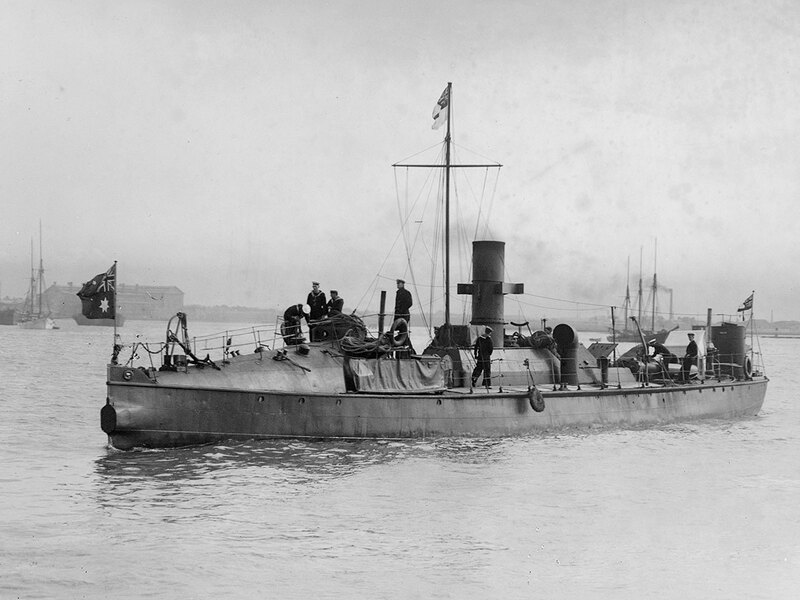 ex HMVS Countess of Hopetoun, First-class, steam driven torpedo boat. Built: Poplar, London, England, 1891. The wooden sailing cutter, Diana sprang a leak on Saturday, 23 December 1877 off Point Cooke and for the safety of those on board she was run ashore on Point Cooke Reef. The cutter was laden with firewood and was owned by R. Owens of Williamstown. The Diana was a Bay and coastal trader with runs between Launceston, Western Port, Geelong, Melbourne and Port Fairy. The wreck of the Eivion at Rye Pier, is historically significant as a Port Phillip Bay lime trader and for its association with its owner Benjamin Stenniken, the 'mayor' of Rye. The Eivion lies within swimming distance to the east (right) of Rye Pier, at a snorkelling depth of about 3 metres. It can be spotted from up on the pier (about half way) as a dark patch. Eivion rests in a sandy seabed and is well covered with seaweed and hosts an abundance of life including small mysid shrimp and stingarees. It is often home to many nudibranchs, rays and small fish. Something nice to change things up, or to head to on a second dive at Rye Pier. The Eivion wreck site is dominated by two large mounds of bagged lime. At either end of the wreck site are the remains of cant-timbers. Surrounding the lime, along the starboard side is fragmentary remains of hull structure, ceiling planking supported by futtocks, and various unidentifiable iron concretions. The lime, long converted to calcium carbonate, is readily identifiable, as it is white and powdery and extremely fragile to the touch. Along the starboard side, forward of the inner hull ceiling planking are the fragile remains of a hessian lime bag. Indications are that parts of the site, especially the ceiling planking, and areas of lime, have only recently been exposed. A blue stone ballast mound is located in the stern area between the stern post and stern lime bag mound.The remains of a wooden rudder is also visible at the stern. It is archaeologically significant as the remains of the hull and cargo exhibit aspects of stowing of bagged lime, including the use of bulkheads and possibly limewashed holds to minimise water ingress to the vessel. As part of a maritime and terrestrial landscape it is in proximity to White Cliffs at Rye which produced lime and has remains of historic lime kilns. It is recreationally and educationally significant as the coherent remains of a wooden vessel within swimming distance from Rye Pier and lies in snorkelling depth. In 1918, after a voyage from Melbourne to Rye, the Eivion encountered strong westerly winds and wave action whilst the vessel was alongside Rye Pier. The Eivion was pounded onto pier. After the storm, Eivion was awash with rigging tangled. Later dynamited to clear wreckage from pier. The Eivion is of historical significance as she is an Australian built Port Phillip Bay limetrader, one of only two limetraders wrecked in Port Phillip Bay. The Isis was a timber, auxiliary, two-masted yacht. Torn by fierce seas from moorings off Frankston. Equipped with auxiliary sails. Driven stern first on to a reef about 1/4 mile from shore, battered to pieces. Masts torn loose, flotsam carried ashore. The three men were sleeping when storm struck, anchor failed to grip. Engine would not start and when it did impossible to raise anchor. The three managed to escape in dinghy but in high seas an oar was lost. 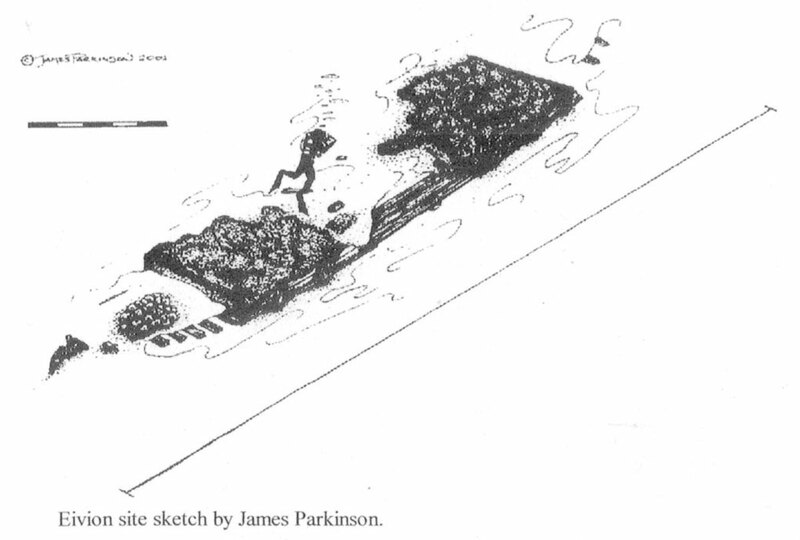 Captain Thomson managed to get boat ashore with great difficulty. Built in 1892 in North Sydney, NSW, sunk on 10 March 1932, the overall length of the vessel was approximately 26.03 metres (85 feet), beam 4.15 metres (14 feet) and draught 2.86 metres (9.4 feet) giving a displacement weight of 71 tonne (78 short tons). The remains of the Isis are significant for their association with William Buckland, one of Australia's richest men. Timber, auxiliary, two-masted yacht, 71 ton. Built: North Sydney, New South Wales, Australia, 1892. The Eleutheria was originally built as a wooden sailing barque at Shields, Durham, England in 1835. Voyages before coming to Australia included: London to Quebec, London to Londonerry to Bordeaux, Limerick to New York, and Liverpool to Barbados. The then barque arrived in Melbourne from Glasgow in 1854 with 21 passengers. 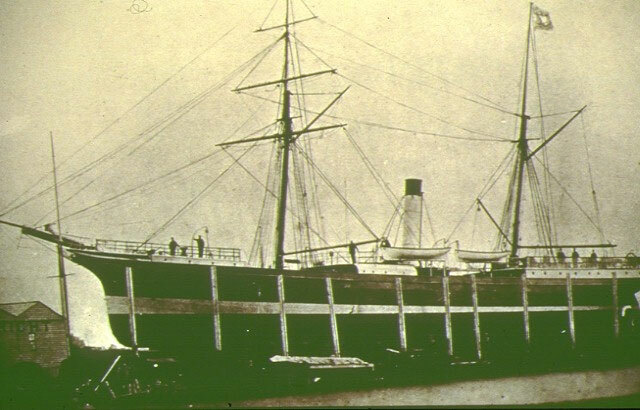 The Eleutheria was converted to a powder hulk in 1862. 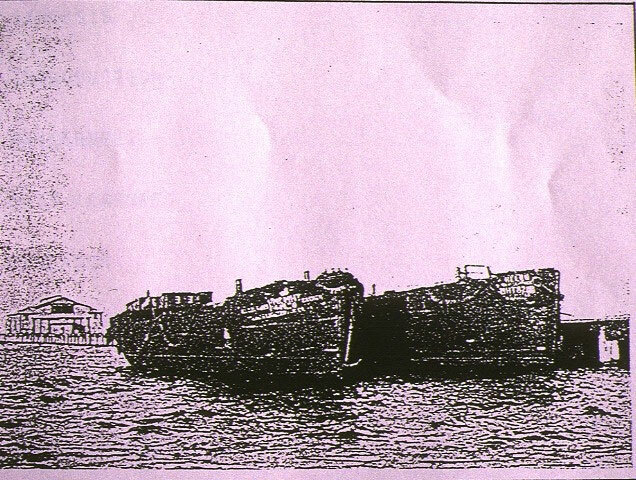 After a number of salvage attempts on City of Launceston, the Eleutheria was purchased by its engineer, Barrett, for 310 pounds on 29 June 1866 and sold to a group of shareholders for a final salvage attempt, using the Eleutheria for lighterage, for which had been employed in previous salvage attempts. Used as base for operations, it sank on 5 July 1866 during salvage attempts on City of Launceston. Markers removed from wreck 10 October 1866 after masts removed. Least depth of water over highest part of vessel is 7 fathoms. Built: Shields, Durham, England, 1835. Fairey Firefly 1 was a Second World War-era, carrier-borne, fighter aircraft that was lost on 20 July 1947 in an accident. As the British aircraft carriers HMS Theseus and HMS Glory were departing on Sunday 20th 1947 after their visit to Melbourne, two squadrons of Firefly and Seafire aircraft from the HMS Theseus took off for an exercise over the bay out from Frankston. As they climbed to 1,500 feet (457 metres) and moved into formation, two Fireflys collided. The Argus newspaper recorded the following the next day: "In a flash the two planes were one. Locked together they turned slowly and fell. Near the water they dropped like stones and disappeared. The destroyer Cockade steamed at full speed to the scene and lowered a boat. The body of one of the four crew was recovered. When the Theseus arrived the only sign was a patch of oil." Divers removed parts of the tailplane and rear wheel for identification and the remains were left forming an artificial reef. There are two aircraft, some 150 metres apart. See Firefly Aircraft 2. In July 2017, human skeletal remains missing for 60 years were found near the wrecks of two war planes in Port Phillip. Four people were killed when the two Fairly Firefly planes crashed on 20 July 1947, but only the body of one of the pilots was recovered at the time. Aged 31, he had been a prisoner of war in Germany for five and a half years. Divers Paul Roadknight and Steve Boneham located the remains of one of the aircrew still inside one of the wrecked aircraft about 20 metres below the surface. They found the remains of another airman next to the wreck of the second aircraft. There was no information about the possible whereabouts of the fourth victim. The wreckage of the two single engined Fairy Firefly trainers is considered a significant archaeological find. Heritage Victoria warns that diving near the wrecks is an offence that carries a heavy fine. The Firefly was designed as a fleet reconnaissance aircraft for the UK's Royal Navy, and was derived from the Fairey Fulmar. First flown on 22 December 1941, the first versions were delivered in March 1943 to RNAS Yeovilton. The main version of the aircraft used during WWII was the Mk.1, which was used in all theaters of operation. Throughout its operational career, it took on increasingly more demanding roles, from fighter to anti-submarine warfare. After WWII, the Firefly remained in service in both the UK and Australia, flying anti-ship missions off various aircraft carriers in the Korean War and serving in the ground-attack role in Malaya. 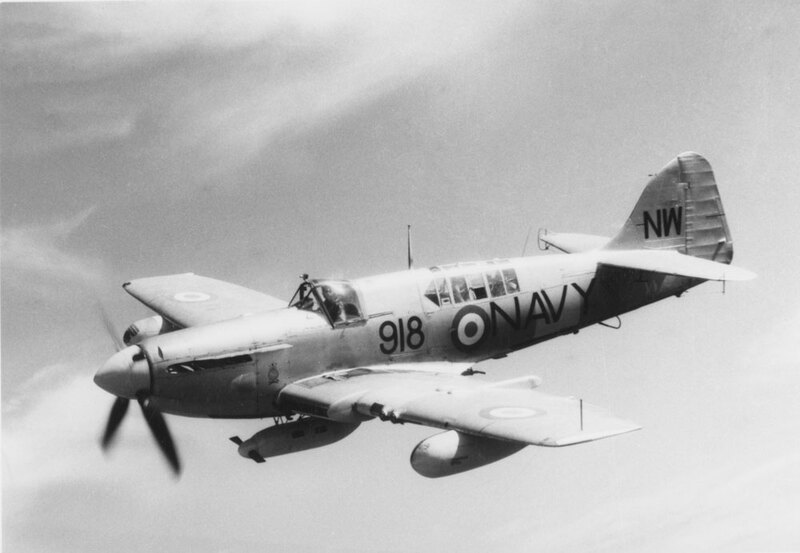 In 1956, the Firefly's frontline career ended with the introduction of the Fairey Gannet. The Firefly was built at London's Great Western Aerodome (Heathrow), United Kingdom. Australian National Shipwreck Database: Frankston - Fairey Firefly 1. Fairey Firefly 2 was a Second World War-era, carrier-borne, fighter aircraft that was lost on 20 July 1947 in an accident. As the British aircraft carriers HMS Theseus and HMS Glory were departing on Sunday 20th 1947 after their visit to Melbourne, two squadrons of Firefly and Seafire aircraft from the HMS Theseus took off for an exercise over the bay out from Frankston. As they climbed to 1,500 feet (457 metres) and moved into formation, two Fireflys collided. There are two aircraft, some 150 metres apart. See Firefly Aircraft 1. Australian National Shipwreck Database: Frankston - Fairey Firefly 2. The Foig a Ballagh, which lies between Coles and West Channel, Port Phillip, is representative of one of the small trading sailing vessels, carrying essential goods into and out of Melbourne during the nineteenth century. Coal was becoming an indispensable commodity in Victoria from the 1850s onwards with the development of the railways and the new steamships that were becoming increasingly popular and Foig-a-Ballagh was a coal-carrying trader. Foig-a-Ballagh potentially has archaeological significance for Irish shipbuilding techniques as it is possible the bow is reasonably well preserved under the sand. The vessel holds potential significance as a training site for maritime archaeology students. Heritage Council Victoria: Foig a Ballagh. Initially a dredge, the Frances Henty was later used as a cable layer. Lies at end of the rocky breakwater near Sandringham Pier. Registry cancelled 11 Sept. 1951. Deck beams still in place, some internal bulkhead uprights still intact. Along the starboard side of the ship, some fallen shell plating can be observed. The port side is covered by breakwater rocks. Turbine rotor near stern. Heritage Council Victoria: Francis Henty. Depth: 3 to 4 m.
The Henrietta left Geelong before dawn on 29/09/1940 in a SW breeze that soon strengthened. When well under way crew found no chart of Bay was on board (previously removed by a pilot for updating and not returned). Ran aground, with tide falling, on end of reef that runs out from Point Cooke for more than 1 mile, buoy marking end of reef not seen in bad weather conditions. 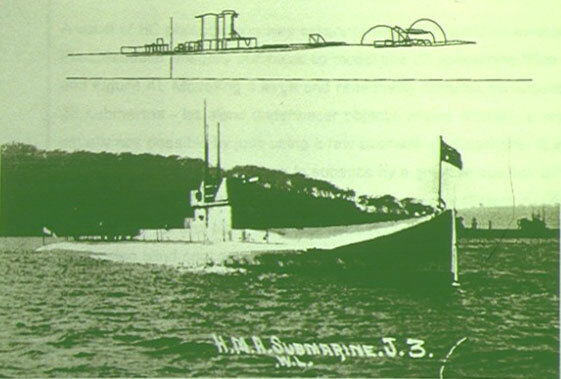 The HMS J3, later HMAS J3, submarine was scuttled off Swan Point to act as a breakwater and power source for the naval base. It settled almost on top of the wreck of the 961 ton coal hulk S.F. Hersey. The J3 sub is within the Prohibited Area of Swan Island (Department of Defence) and is therefore out of bounds. The J3 submarine, also known as the Swan Island Sub, lies in 5 to 8 metres with parts of the hull above surface. The J class of submarines was a seven submarine class developed by Britain's Royal Navy prior to the First World War in response to claims that Germany was developing submarines that were fast enough (22 knts) to operate alongside surface fleets. The rumours were actually false. Six J class submarines were completed during mid-1916, while a seventh entered service at the end of 1917. The J class Submarine Number 3 was built in 1915/1916 and scuttled in January 1926, the overall length of the vessel was approximately 83.7 metres (275 feet), beam 7.2 metres (24 feet) and draught 4.7 metres (15 feet) giving a displacement weight of 1,092 tonne (1,204 short tons) surfaced. When launched the J class were the fastest subs in existence. Although larger and more powerful than previous British submarines, the J class could not keep up with surface vessels, and operated independently during the war. Between them, the submarines sank a U-boat, and heavily damaged two battleships, with the loss of one, the J6, to friendly shelling. They were equipped with a powerful long-range wireless they were ideally suited to reconnoiter in enemy water. Following the war, the six surviving submarines were gifted to the Royal Australian Navy. When they arrived in Australia, they were all in poor condition. The boats were not refitted in England before being handed over and sailing to Australia, and had to undergo extensive refits. They were immediately refitted (from 1920) at the Garden and Cockatoo Island Commonwealth Naval Dockyards. The ironclad Cerberus acted as a depot ship to the J Class submarines whilst they were stationed at Geelong. Four subs, J1, J2, J4, and J5, were scuttled in the ship graveyard. Two were scuttled as breakwaters: J3 near Swan Island, and J7 at Sandringham Yacht Club. Heritage Council Victoria: J-3 Submarine. Depth: 0 to 8 m.
The J7 Submarine at Sandringham Yacht Club is a unique visible feature of the marina, and is historically significant as one of the Royal Australian Navy's earliest submarines, predated only by the AE-1 and AE-2. The J class Submarine Number 7 was built in Devonport Dee and completed 11/1917. In that time the J class were the fastest subs in existence. Number 7 was the last J class submarine to be built. Following the war, the six surviving submarines were gifted to the Royal Australian Navy. When they arrived in Australia, they were all in poor condition. The boats were not refitted in England before being handed over and sailing to Australia, and had to undergo extensive refits. They were immediately refitted (from 1920) at the Garden and Cockatoo Island Commonwealth Naval Dockyards. The last one to be refitted was the J7 submarine in June 1922. The decision to scrap the J7 submarine came on the 16-Jan-1924 even though it was in fairly good condition after just being refitted. It was described as the last survivor of an obsolete class. She stayed in service for the longest period providing electricity for the Flinders Naval Depot. She was towed from Cowes where she had been lying at anchor, to Melbourne by the tug Minah and broken up at Footscray. The J7 was sold to Morris and Watts Machinery Merchant in October 1929, who after dismantling the J7 sold it to the Ports and Harbors Department Melbourne and sunk her as a breakwater at Sandringham Yacht Club in August 1930. Heritage Council Victoria: J-7 Submarine. Coal carrier from Newcastle, return voyages - sundries. Passed through Port Phillip Heads about 8 pm but returned due to gale. Ran ashore but refused help of Queenscliff lifeboat, even though vessel was filling fast. Other efforts failed too - a survey showed vessel breaking up fast so put in hands of underwriters. Only insured for small amount as owners were considering venture of larger steam colliers. Medea, one of their fleet of coal barques, operated mostly between Newcastle, Geelong and Melbourne. The Monarch was purchased by E.M. Sayers, in 1852, for Melbourne trade. The Monarch sunk on 17 July 1867 while on a voyage from Melbourne to Newcastle. Attempts to refloat the vessel by steam tug Resolute failed. Seabird, close by, broke up about same time. Titan also failed in rescue attempt. Monarch's pumps unable to cope. Abandoned to underwriters. Remains auctioned for 350 pounds, then re-sold for 17 pounds cash. Registry closed 6 Aug 1867. The Monarch is archaeologically significant as one of the most complete wooden wrecks in Victoria. The Pinafore rig is listed as a steam launch. While being towed up Bay by the steam tug Amy, the Pinafore began shipping water in strong sea. Bailing was ineffectual, so Captain Wilkins stopped Amy's engines to allow Pinafore's crew to board for safety. Just as Pinafore ranged alongside a heavy sea broke over the vessel, causing it to founder head first. The schooner Omega entered the West Channel in foggy weather too far to the east of the West Channel Pile Light. Despite steering the correct course the vessel went aground on the eastern bank of the West Channel. The captain could not see the buoys at the time due to the foggy weather. The tug Rescue attempted tow the vessel free but the Omega filled with water. The remains were sold for six pounds. The Omega had recently had a thorough overhaul before its last voyage. Vessel and cargo insured (sum not known). Register closed 30 Nov. 1897 Charge of misconduct preferred against Capt. Carr not sustained by Court of Marine Inquiry but cautioned him to be more careful in future - error of judgement. The Omega is archaeologically significant as the well preserved remains of a small Australian-built coastal trading vessel typical of the fleet that sailed around south-eastern Australia i.e. : representative of a type. Level: Open Water and beyond. The Ozone was a bay paddle steamer and it was sunk in October 1925, together with the Dominon, to form a breakwater for the bay near Indented Head. Head out over the shallow sandy bottom to the Ozone and explore the remains. The remains of the Dominion shipwreck are about 20 metres north of the Ozone. The area is popular for dive training and it allows divers to have an interesting wreck dive at the same time. 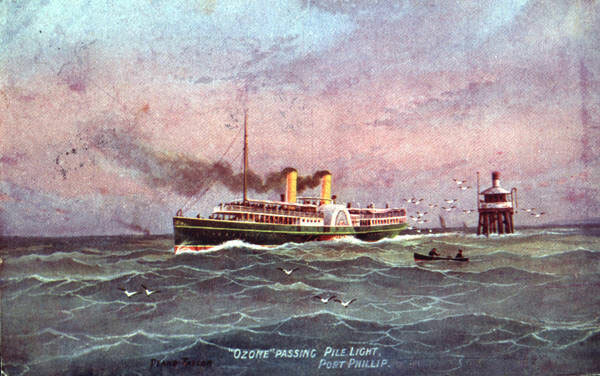 The Ozone is socially significant as one of the well known 'Bay Steamers' that used to ply Port Phillip and Corio Bay with passengers on short trips and excursions. The Bay Steamer 'wings' on Station Pier and jetties such as at Clifton Springs, Queenscliff and Portsea are other reminders of this era. The Ozone is also recreationally significant as an easily accessible shipwreck site that can be snorkelled and dived, with boilers, steering quadrant, paddlewheels and bow section providing interest and a home for marine life. Depth: 2 to 4 m.
The Queenscliffe shipwreck lies in Port Phillip, at the RAAF Seaplane Jetty, Point Cook. The Queenscliffe was built in 1905 at the Domain Slipyard, Hobart, Tasmania, Australia. She founded at the end of the RAAF Seaplane Jetty on 30 December 1973. 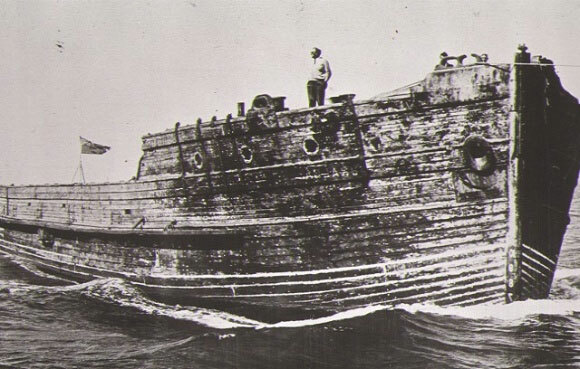 Divers later found the Queenscliffe was resting on top of an unknown wreck. Australian National Shipwreck Database: Queenscliffe. The Restless was built in Nova Scotia in 1866, registered in Melbourne in 1888 and involved in coastal trade. It was damaged by fire in Melbourne in 1890, and sold and converted into a lighter in 1890-91. The Restless was being towed by the tug Otter to Geelong along with another lighter the Orange Grove (Age 23/01/1902) when it met with the full fury of a gale with 50 mph winds. The hawser of the Restless broke and the anchor dropped, but did not hold. Aboard the Restless were a lighterman and his wife and two children, who suffered exposure and anxiety during the Restless' drift across Port Phillip Bay. Fortunately the Restless went ashore on sand and didn't break up, and the family was rescued by Mr Hamilton, fisherman of Carrum, and a party of oarsmen. The Restless lies north of the Patterson River mouth in Port Phillip. It is recreationally significant being close to shore, and easily accessed by divers and snorkellers. Built: Nova Scotia, Canada, 1866. The Sea Bird (aka Seabird) was a Wooden Sailing Barquentine built in Bath, Maine, USA in 1864. It ran ashore on 19 June 1867 near West Channel lightship about 1:40 pm. Despite attempts by crew and steamers Pharos, Black Eagle and Resolute, efforts to refloat vessel failed. Heritage Council Victoria: Sea Bird. The S.F. Hersey was a fine American built ship of 991 tons purchased by the Tasmanian Steamship Company in 1890. She was the largest square rigger registered out of Hobart. She made several voyages between Hobart and Newcastle under the command of Captain Wilson before she was converted to a coal hulk. On 21 May 1923 the SF Hersey was scuttled to be used as a pier in Port Phillip at the north end of Swan Island, next to the J3 Submarine. The S.F. Hersey is within the Prohibited Area of Swan Island (Department of Defence) and is therefore out of bounds. Heritage Council Victoria: S.F. Hersey. The Swallow was a wooden sailing schooner built in 1860 in South Australia and wrecked in Victoria on 2nd June 1922. The Swallow served sixty years in service around coast and in Port Phillip. Formerly a fishing cutter. Purchased after World War I for Apollo Bay. Blew ashore at Apollo Bay in January 1922 but was refloated. Now lies in Port Phillip Bay, between West and Loelia Channels. The site lies in about 8 feet (2.4 metres) of water with its long axis at 165 degrees. The length from the two further visible parts of the wreck is 14 metres (46 feet) and approx 4 metres (13 feet) wide where there are ribs opposite each other. At the stern there is a large wooden post, possibly the stern post. If so then there is substantially more on the port side of the vessel. This structure has a number of ribs and a large timber beside them. Towards the middle of the site there are some lead pipes/rods and some stone and bricks exposed. Towards the bow on the starboard side there are a couple of ribs and what appears to be inner and outer hull planking. The upper portion of all the timbers have growth and worn damage, but the lower portions are in good condition. Just forward of the starboard timbers there is a large metal ballard, the base appeared to be lead and there are some iron concretions on the top. This unidentified wreck lies in Port Phillip, Northeast of Queenscliff on the edge of the West Channel. The wreck consists off some large timbers possibly a section of keel or keelson, with planking attached. A small amount of coal also present along with copper alloy fastenings. No sign of other wreckage. Australian National Shipwreck Database: Unidentified: Queenscliff. The Uralba (aka SS Uralba, HMAS Uralba) lies at a depth of 18 metres (59 feet) off Carrum in Port Phillip on a silty bottom and rises 5 metres (16 feet) from the seabed. The main deck, bridge deck superstructure and all machinery were removed before scuttling. The bare hull sits upright, with the only penetrable part being the forward accommodation area. Lying next to the Uralba on the starboard side about midships is a small 20 ft (6.1 m) steel vessel, sunk at the same time. The Uralba's bridge deck, along with all machinery, were removed before scuttling. The bare hull sits upright, with the only penetrable part being the forward accommodation area. The fore mast lies on the deck, removed and obviously laid there before sinking. The mast still has the steel ladder attached and is on the port side. The rudder has broken away and lies in the sand just off the stern. All bollards are still visible on the deck, along with many other fittings such as fairleads, ladders, and a derrick pulley. A section near the stern is still tiled and was apparently the galley area. The four water tanks are visible below the deck on port and starboard sides. A small amount of damage has been done to the hull over the years by scallop dredges, four of which lie along side the vessel. A large amount of the decking has begun to deteriorate and is beginning to collapse. Lying next to the Uralba on the starboard side about midships is a small 20 feet (6.1 metres) steel vessel, sunk at the same time. The Uralba is a wonderful dive. The Uralba is home to a large number of fish. Visibility is often very poor and the wreck is covered in sediment which is easily stirred up. Avoid periods after rain and dive on the flood tide. Beware of fishing line tangles and irate fishermen who seem to believe the dive site is their personal property. Uralba wreck dive by Michael Mallis, BSAC (Bass Strait Aqua Club). 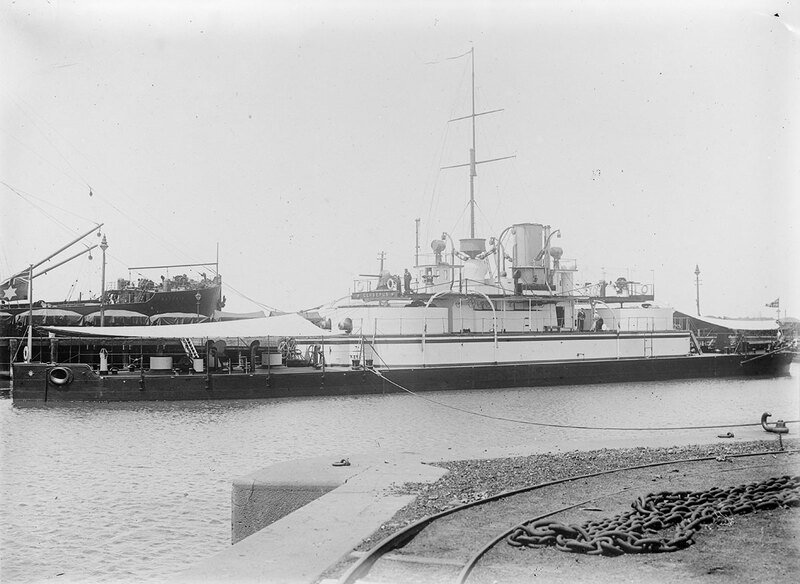 The HMAS Uralba was a wooden hulled single screw steamer. In the early 1940s, the North Coast Steam Navigation Company (NCSN Co), was in need of another vessel so an order was placed with E. Wright of Tuncurry, New South Wales, Shipbuilder. In 1942 the ship was completed and named Uralba. This was the last wooden coal burner built in Australia. The vessel still needed to be fitted out and subsequently was towed to Sydney. Here the Uralba was fitted with second hand machinery from the Ex-Sydney ferry Kuramia, an engine from the ferry Vaucluse, and the boiler from an old coaster called the Malachite. Before the Uralba ever made a voyage for the NCSN Co, it was requestioned by the Royal Australian Navy (RAN) on 13 July 1942 for service in WWII. The Navy fitted out the Uralba to suit the task it was to perform; it was painted grey and armed with one 4 inch gun and one 20 mm cannon. 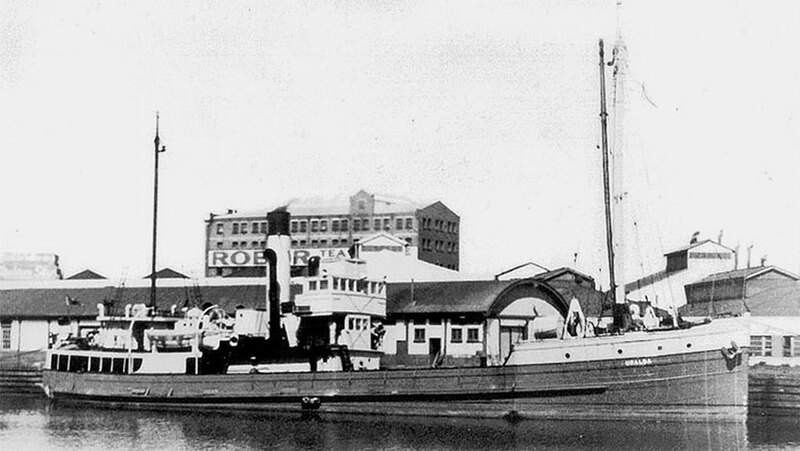 The Uralba was based in Brisbane at first, where it operated as an auxiliary boom defence vessel and minefield tender. In 1944 it was sent to Milne Bay, New Guinea. There the ship was used as an armament and stores carrier. After the war when the Navy no longer had a use for the Uralba, it was sent back to Sydney. In 1947 it was completely refitted under the supervision of the Navy and returned to the North Coast Steam Navigation Company. The Uralba was used for coastal trade by the NCSN Co, but in less than six months work had run out and the Uralba was put up to be sold. At this time the State Electricity Commission (SEC) of Victoria was in need of a vessel to carry building materials from Tasmania to the mainland for the construction of the Latrobe Valley power stations. On 20 July 1948 the SEC took delivery of the Uralba and the firm F.H. Stephens Pty Ltd was appointed as the managing agents for the vessel. The Uralba made its first voyage for the SEC on 11 September 1948. In the three years that it served the SEC, it made a total of sixty four voyages. On each voyage it would bring back Tasmanian timber, cement and fibro-cement sheeting. On its return voyages, the Uralba generally carried cars, trucks and general goods to be sold in Tasmania. The SEC was pleased with the Uralba as it saved time and money on the construction program in the Latrobe Valley, although the crew was not of the same opinion. The ship apparently did not handle all too well in rough seas due to its flat bottom. The Captain had on many occasions requested the vessel be fitted with a bilge keel to offer some sort of stability. However, this was never done. In late 1951, the SEC had run out of need for the Uralba, and it was hired out for a period of eight months. It was later sold in September 1953 to the A and A Steamship Trading Syndicate of NSW. Benny Gelbart of Footscray bought the vessel for conversion to a Northern Territory cattle boat but it sank on the 4 May 1960 in the Maribyrnong River — caulking had deteriorated. It was salvaged, re-caulked, and towed to a mooring opposite to the Charles Grimes Bridge on the Maribyrnong. Eleven of its natural knees were used in the reconstruction of the Golden Plover, now in Queensland. In 1964 the Uralba was purchased by Duncan and Russell Pty Ltd of Melbourne. Its engines where removed and was used as a dumb lighter. The Uralba was allocated to the Department of Conservation, Forests and Lands for their artificial reef program. This program resulted in a number of reefs being established in Port Phillip and Western Port, including the George Kermode off Phillip Island. 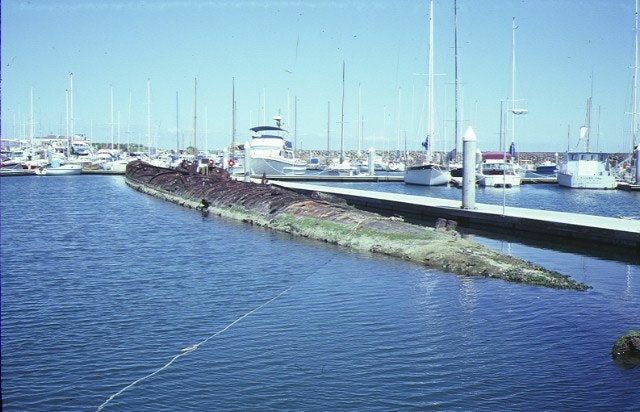 On 5 November 1971 the Uralba was towed for the Fisheries and Wildlife Department by the Ports and Harbors tug Fury to the Carrum Artificial Reef. There she was scuttled with an old 20 ft (6.1 m) pleasure boat condemned by the Marine Board. She was blown with the use of twenty sticks of gelignite by 'Buck' Taylor — debris went everywhere. Mr Alan Clark, in charge of towing the Uralba, stated that the amount of gelignite used to sink the vessel was far in excess of what was required. His personal view was that one stick would have done the job. As a result a large section of the keel and planking was blown out. Straight after the sinking Mr Clark dived on the Uralba and commented on the damage in the hold where part of the hull was missing. Timbers from the Uralba washed up on Melbourne beaches for weeks after. The Uralba is now home to a large number of fish and is occasionally visited by scuba divers who probably don't realise the vessel's colourful history. Engine: Single Screw, Triple Expansion Engine 14 in x 22.25 in x 37 in. 21 inch Stroke, 81 HP. Engine Built 1914. Speed: 8 1/4 knots on trial. Average 7 knots. Coal Burner Bunker Capacity: 75 tons, Consumption 10 1/2 tons per day. The overall length of the Uralba was approximately 154 feet (47 metres), beam 35 feet (11 metres) and draught 9.75 feet (3 metres) giving a displacement weight of 603 tonne (665 short tons)..
ex SEC freighter, wooden coal burner. DISCLAIMER: No claim is made by The Scuba Doctor as to the accuracy of the dive site coordinates listed here. Should anyone decide to use these GPS marks to locate and dive on a site, they do so entirely at their own risk. Always verify against other sources. The marks come from numerous sources including commercial operators, independent dive clubs, reference works, and active divers. Some are known to be accurate, while others may not be. Some GPS marks may even have come from maps using the AGD66 datum, and thus may need be converted to the WGS84 datum. To distinguish between the possible accuracy of the dive site marks, we've tried to give each mark a source of GPS, Google Earth, or unknown. If you don't understand the differences between the different ways coordinates are given, plus how different datum come into play, you might find the article GPS Conversions by Lloyd Borrett a useful read. It describes the problems associated with locating dive sites using a GPS receiver. In the true spirit of making it easy to obtain, utilise and share the information for non-commercial purposes, you can now Download/view the Scuba Doctor Dive Map GPS Marks (KML file | 237.2 KB | 07-Apr-2019) in the Keyhole Markup Language (KML) file format used to display geographic data in an Earth browser such as Google Earth and Google Maps. Some marine GPS units can import the information from a KML file. For others you can use use a file translate program (e.g. GPSBabel) to convert the KML file into an import file format (e.g. GPX) supported by your GPS unit. If you have have information about other dive sites you'd be happy to see added to the information available here, or any corrections and/or updates to the diving site GPS marks listed here, please feel free to Contact Us. See also, Dive Site Help. Copyright in photographs and other materials used here remains with their artists and authors. We are happy to acknowledge appropriate copyrights should they be made known to us. A lot of people attack the sea. I make love to it. So Cheap... we are practically giving them away! Salvage some before they are gone. Click here! Hurry! Some items are available in single quantities and strictly limited to stock on hand! Once it's gone, it's gone.